Did you know Florida has abundant hunting? Whitetail deer and wild hog reside here and are legal in season. What you can hunt that is in a few stats is Gators! This is done by boat so its a whole new kind of boating experience. 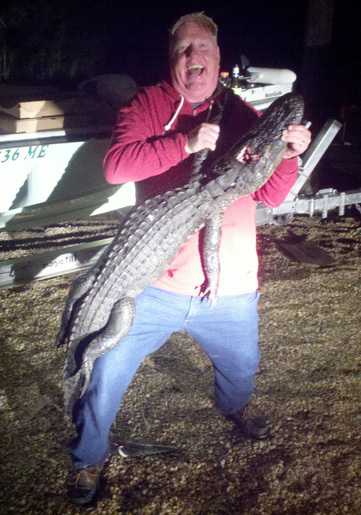 Aligator hunting is legal in Florida if you have a license in season. Licenses are limited. Contact Back Bay Xtremes if you are interested.